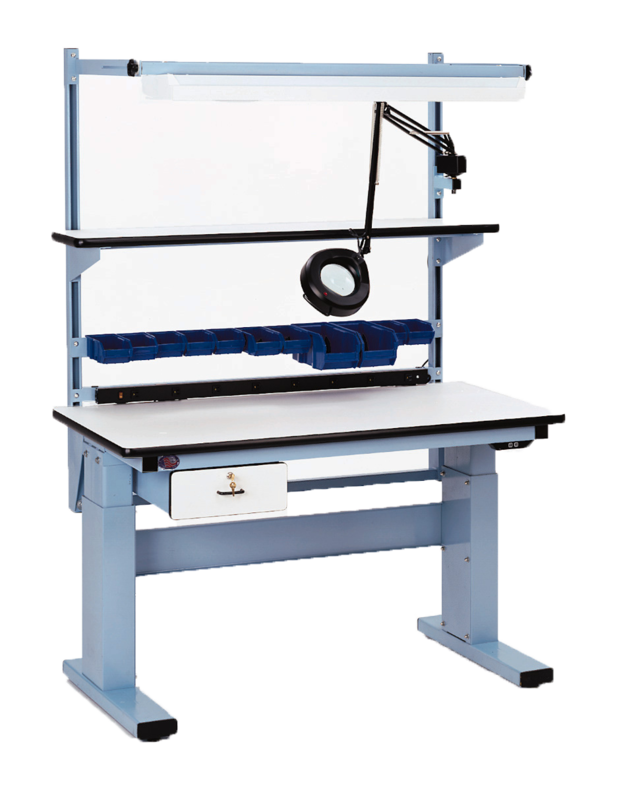 The MVS II is an electric, height adjustable, “state-of-the-art” lab bench and desk. Simply the best ergonomic station ever made. This unit adjusts from 30.5 inches to 46.5 inches with 1,000 lbs. capacity. Standard in stock dimensions are 60 or 72 inches long and 30 inches wide. 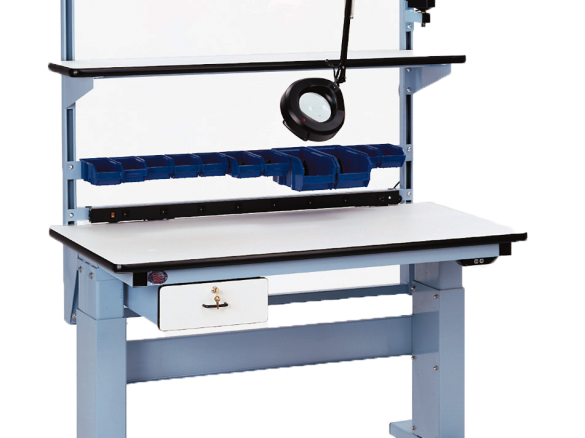 For more information, contact our specialists to find out how we can assist with your workbench needs.